This rainforest tree was formerly known as Euodia elleryana. The bark is pale, somewhat corky in appearance, the leaves are opposite and each has 3 leaflets arising from the same point (trifoliolate). 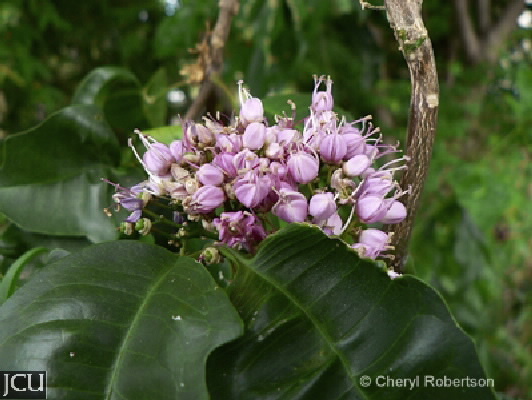 The clusters of pink to mauve flowers are produced on the old wood below the leaves. The fruit is a capsule, which splits to reveal seeds completely enclosed by a shiny, black aril. 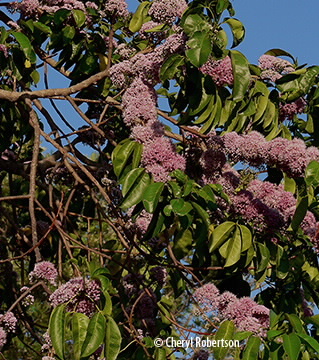 This tree is a host for the Ulysses butterfly. Flowering summer.